Chaired by Prof. Mark Lythgoe, winner of the 2015 'Public Understanding of Neuroscience' BNA award, the 15th annual Cheltenham Science festival is set to kick off on the 6th June with a packed week of talks and workshops. Luckily for us brain enthusiasts, neuroscience is centre stage with fascinating series including 'Mysteries of the Mind' and 'Music and Sound', and talks by BNA members Prof. Irene Tracey and Prof. Heidi Johansen-Berg. We've put together our best picks of everything 'neuro' at the festival, so you don't miss out. Tickets are still available for some events, which can be ordered at the festival website. Neuroscientist Vin Walsh delves into what happens when our brain is pushed to its limits with brain systems expert Shane O’Mara and psychologist Jennifer Wild. 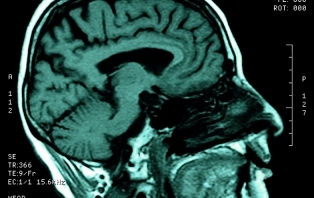 How do our brains make sense of the world? With exercises and illusions, neuroscientist Beau Lotto reveals startling truths about our perception, showing us that we don’t see reality, but something far more interesting… and indeed, far more useful. Neuroimaging presents us with exciting possibilities, allowing the brain to be observed in real-time and giving us a greater insight into an individual’s thoughts, motivations and behaviour. But can brain scans really reveal what is going on inside our heads? Neuroscientist Barbara Sahakian examines what neuroimaging can tell us and considers the ethical risks associated with ‘reading minds’. In 2010, Kate Allatt suffered a severe stroke that left her ‘locked-in’: unable to move or communicate, but fully aware of her surroundings. Told she would never walk or talk again, miraculously, Kate regained speech and mobility in less than a year. Join Kate and neurologist Parashkev Nachev as they discuss her remarkable recovery and explore how her experiences are helping us to think differently about the brain after trauma. What shall we have for dinner? Should I take that new job? Every day we make hundreds of decisions, from the trivial to the lifechanging. So how do we make decisions and how sensible and rational are they? Ginny Smith puts your brain to the test to see just how rational, or irrational, you are. Neuroscientist Sarah Garfinkel and philosopher Barry Smith cast light on the role our bodies play in the mind. 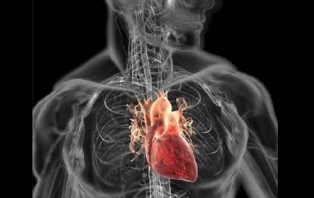 They reveal how signals from the heart to the brain can shape the way we think and feel, what we remember and how we recognise others’ emotions. Pain exists to protect us from harm, but our individual experiences can depend on mood, attitude and even cultural upbringing. And when pain becomes chronic, as it does for about 20% of adults, it causes serious suffering. Here to discuss the mysteries of pain and how brain imaging is helping us understand it is neuroscientist Irene Tracey. Neuroplasticity suggests our brains have the ability to adapt and change, but is it possible to improve the way they work? By-passing a billion-dollar brain training industry which doesn’t seem to work, science journalist Caroline Williams joins neuroscientists Heidi Johansen-Berg, Martijn van den Heuvel and Ben Martynoga to explore the possibility of changing our brains for the better, with tips and tricks to try for yourself. Cash for kids to learn their times tables or bribing footballers to score in a penalty shoot-out ought to be effective, but why do financial incentives so often backfire? Radio 4’s All in the Mind presenter Claudia Hammond explores the psychology behind what works when trying to get someone to do what we want. Whether it’s impacting visual perception or altering states of consciousness, drug use can drastically affect brain states and behaviour. Psychologist and Say Why to Drugs podcaster Suzi Gage is joined by psychedelics researcher Robin Carhart-Harris, health psychologist Sally Adams and journalist and novelist Lionel Shriver to discuss how different drugs affect the brain and to explore the positive and negative impacts of both legal and illegal substances. Adam Rutherford joins robotics and artificial intelligence expert Murray Shanahan and digital anthropologist Beth Singler to investigate the machine mind – exploring how we engineer intelligence, what we know about robot thought processes, and how similar they might be to our own. How do babies begin to understand the world and their place in it? From birth, we start to develop a sense of self as we play, learn new skills and begin to interact with others. Developmental psychologists and professional baby watchers Caspar Addyman and Nathalia Gjersoe delve into the minds of babies and young children and explore how this can help us better understand our adult psychology. What makes you, you? 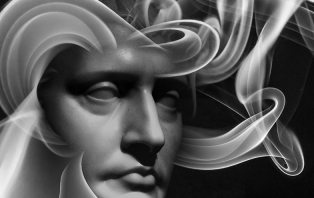 Is your personality fixed in stone, or can life experiences change your very nature? Pioneering psychologist Brian Little goes beyond traditional personality traits, exploring when and why we transcend these misleading categories. Find out more about how your personality shapes your life, what you can – and can’t – change about it, and how to thrive in the best way for you. Why do we find jokes funnier when we like the person who’s telling them? And why are we 30 times more likely to laugh if we’re with someone else? 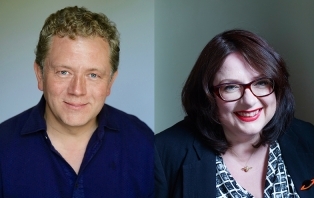 Dead Ringers impressionist Jon Culshaw joins cognitive neuroscientist Sophie Scott for a side-splitting dash through the science of cracking up. They explore what makes us giggle and why laughter is such a crucial part of the human experience.